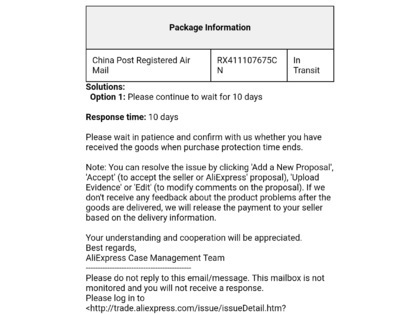 I noticed that that Aliexpress was ask you to wait 10 more days, now you could open dispute again. Sorry for the troubles. Best regards.